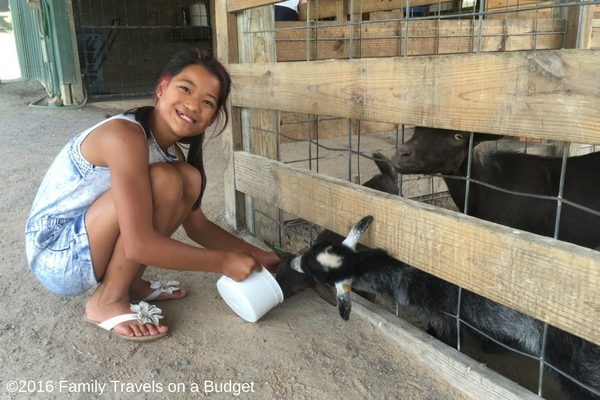 Home » Uncategorized » Virginia Safari Park: 5 star fun! Virginia Safari Park: 5 star fun! 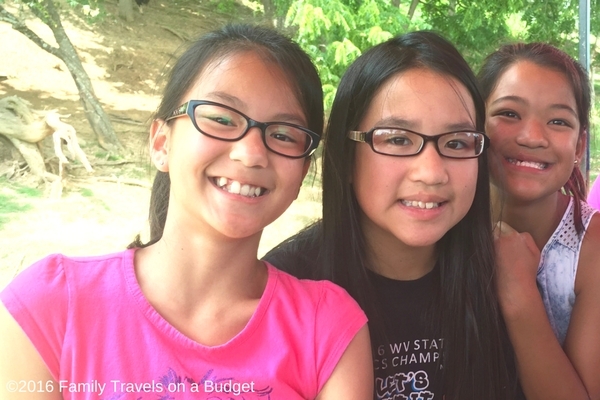 When we travel, we like to mix things up! A little history and culture mixed with fun and adventure. On our trip to historic Lexington, Virginia we certainly found both! 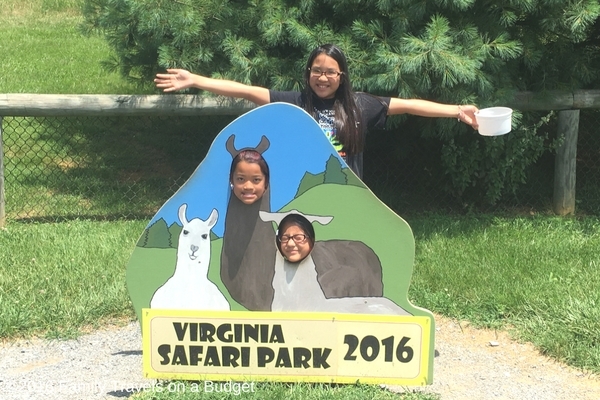 Of the many adventures in the area, our absolute favorite was a trip to the Virginia Safari Park. Virginia Safari Park opened in 2000 to give people a chance to see wild animals in a more natural environment than is possible in a traditional zoo. The park spans 180 acres, where animals are free to roam. Guests can drive their personal vehicle through the park and feed animals through the windows. Or, take the wagon tour through the safari park — which I highly recommend! This is the American version of an African photo safari (though cheaper and shorter). No matter which you choose, the animals determine your pace. When they decide to sprawl out on the road and sun bathe (haha), you’ll just have to wait till they move on to continue your tour. 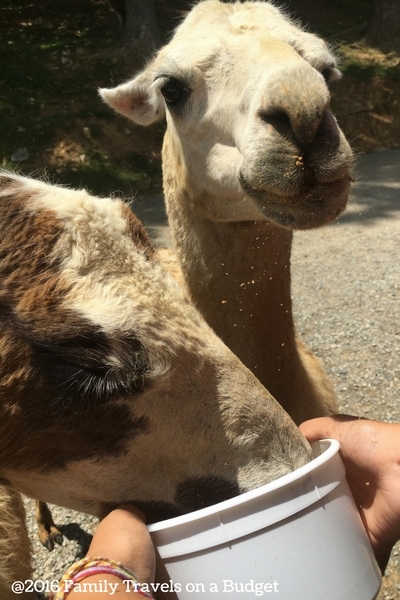 When the animals are hungry, they’ll approach your car for treats — hopefully, you bought a bucket or two when you got your park tickets! Since your safari takes you through their home, you might see mamas bathing their babies, males battling for attention of females, and kids taking their first steps. On our tour, we saw one little guy figuring out how to navigate the hillside on wobbly legs. SO CUTE! Besides the drive-through safari, there’s a more traditional zoo-like village area where guests can feed giraffes, walk through the kangaroo walkabout, watch the tigers, hang out with the birds in the aviary and much more. The girls were particularly drawn to the monkeys and the goats in the village! We thoroughly enjoyed our trip to Virginia Safari Park. Visit in the morning, especially on hot days. Just like people, animals are less active when it’s really hot! Take the wagon ride! Trust me in this — even though it costs more. First, these animals don’t understand the value of a paint job! If a guy with horns scratches your car, well, he didn’t mean it. Second, it’s a whole lot easier to feed the animals from the wagon than by reaching out car windows. Third, do you really want camel spit all over your interior? Wagon ride tickets are available on a first come-first served basis. Once all tickets are sold for the day, no other tickets are available. If visiting during peak season, arrive early to ensure tickets are available. Wear comfortable shoes — it’s a hilly park. Bring bottled water! There are a couple drinking fountains and the snack shop, but we all wished we had brought bottled water with us. Budget tip! Admission is good all day — consider leaving the park for lunch then come back to enjoy the park some more. (I recommend 1+ hour for the drive-through part whether in your car or on the wagon and at least 2-3 hours for the rest of the park). 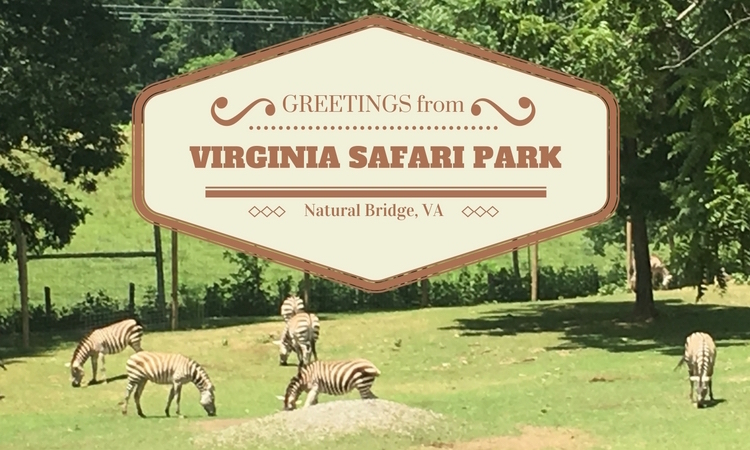 Virginia Safari Park is located at 229 Safari Lane, Natural Bridge, VA 24578. Park hours vary by season and can be found here. 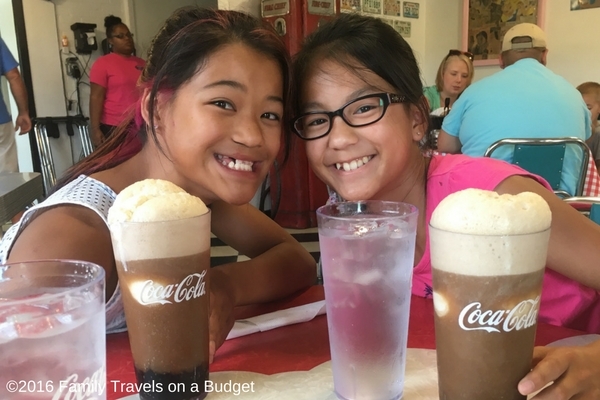 Get lunch at nearby Pink Cadillac Restaurant — get a malt, shake or float! Special thanks to Virginia Safari Park for the discounted admission for purposes of this review. All opinions stated in this article are mine.